The quality of your life is directly related to the quality of how you communicate and connect with others – not just at work but in your life outside work, too. If you have excellent interpersonal skills, you’ll be more successful in your work, in your relationships, and in your life. 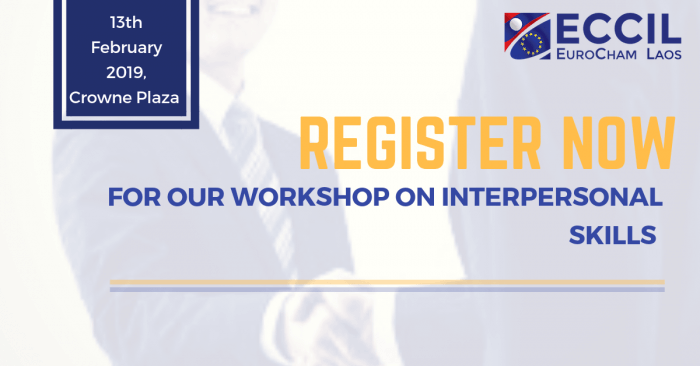 This interactive one-day workshop will provide you with the secrets to building better interpersonal skills so that you can have better communication with your boss, your colleagues, and your customers – as well as with all the important people in your life. You’ll come away with a deeper understanding of how to connect with people at a deeper level, and a set of tools and strategies that will help you to build great relationships with everyone. The 5 simple steps to building your interpersonal skills and improving your ability to connect with others. How mood and focus influence how effective you are in all interpersonal communication – and what you can do to change them quickly. The 3 key elements communication and how you can use them to connect more effectively with a wider range of people. How to instantly build rapport with anyone – including people who are very different to you. The skills of deep listening and why they’re so important to excellent interpersonal skills. How to tailor your communication style to better connect with your boss, your colleagues, with customers (and others in your life) and achieve your goals. How to manage difficult conversations to achieve a positive result.If you lead or manage others, work for anyone, deal with clients or customers, run your own business, or simply want better relationships with the important people in your life, then this workshop is for you. Don’t miss it! Tony Campbell has spent the last 30 years training people in businesses, government departments, and non-profit organizations across the world to communicate more effectively. Tony has worked primarily in Asia, as well as in Europe, North America, and Australia, with some of the world’s largest organizations in a range of industries and sectors. Over the past three years, Tony’s engaging and interactive workshops have helped to deliver real results for people and organizations in Lao PDR. Workshop fee: *The fee will include; handouts, 1 lunch and 2 coffee breaks during the workshop.